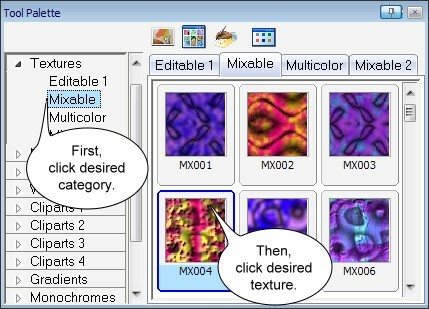 Mix function will allow you to mix a texture with an another selected from the ToolPalette. 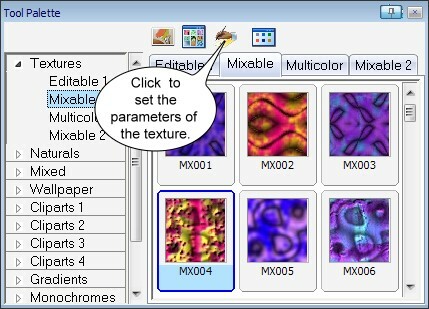 In the Parameters dialog box, select the Adjustment tab and click on Mix Two Textures. 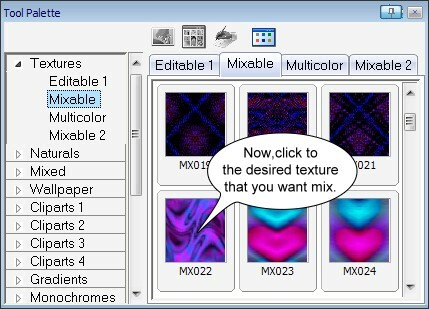 Now, click to the desired texture that you want mix in the ToolPalette. You can press the Esc key to abort. The texture is mixed. Click the Generate button. After a little while (the rightmost portion of the status bar shows the progress), the rendered texture will be displayed. 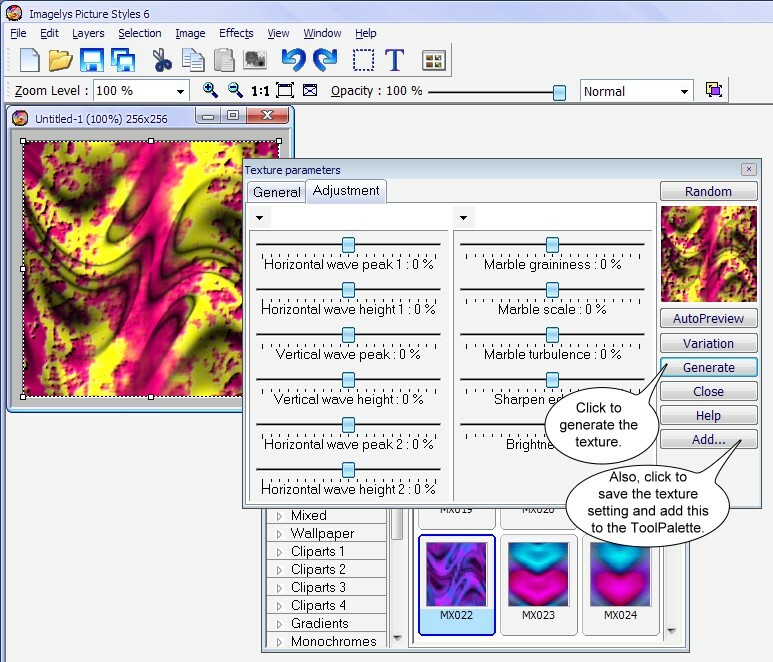 You can also save this texture setting by clicking the Add button.